THE Fraser Coast has been hit by hundreds of milimetres of rain as ex-tropical cyclone Oswald wreaked havoc across the region. 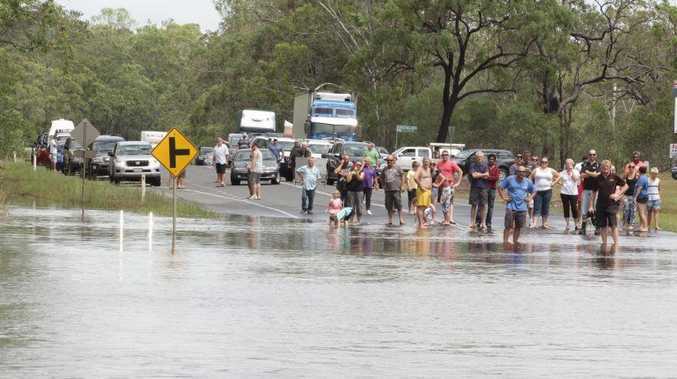 While the high rainfall totals had caused flooding throughout the Fraser Coast, forecaster Josh Fisher from Weatherzone said the worst was over. He said about 20mm of rain could be expected around the region on Sunday night with passing showers. Torbanlea had the most rainfall, with 376mm recorded while nearby Howard recorded 312mm in a 24-hour period on Saturday. Lenthalls Dam recorded 305mm of rain. In Maryborough 259mm of rain was recorded and in Hervey Bay 174mm of rain fell. Maryborough's total was the highest daily total since 1955. More than 430mm had fallen in three days in Maryborough, which was the highest three-day total for the region since 1952.